Congratulations to Mrs. Jamie Rich for being named the Goshen High Teacher of the Year. Mrs. Rich was presented her award at the Teacher In-Service on January 3, 2019. Mrs. Rich teaches Agriscience at Goshen High School. 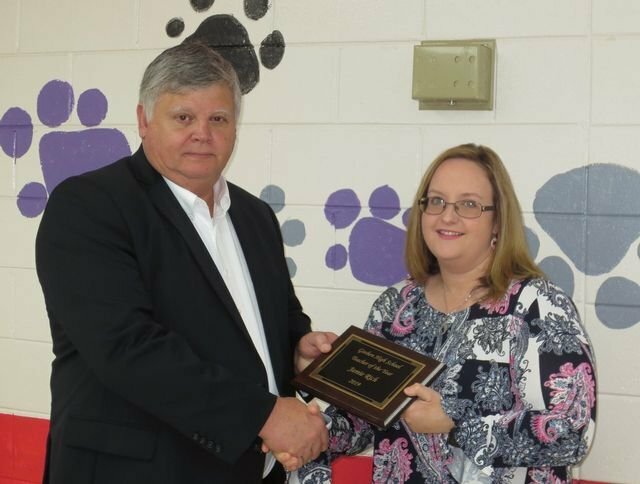 Mrs. Rich was also named the overall High School Teacher of the Year for the entire Pike County School System.